One Fine Day (1996) | Tales From The Ipe! 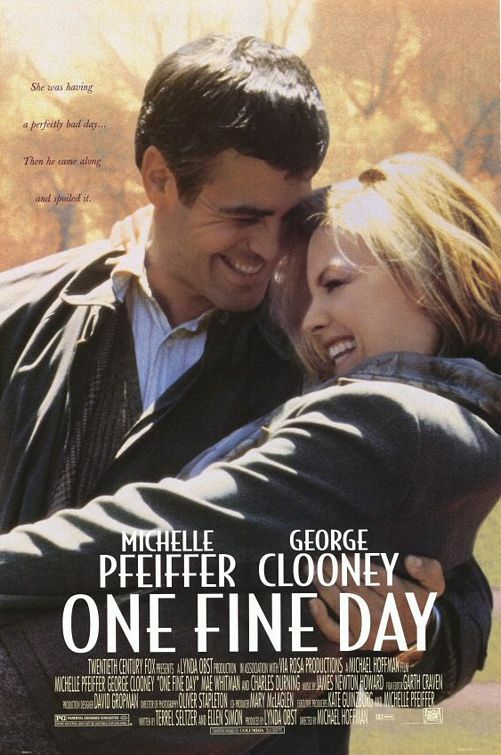 Over the weekend, we watched one of my wife’s favorite movies, One Fine Day (recently purchased on DVD) starring Michelle Pfeiffer and George Clooney. My wife was actually afraid that I’d watch the movie complaining and mocking her movie, but I behaved myself. Seriously though, am I like that? The movie was actually pretty decent. It showed off some comedic flair and timing by Clooney and Pfeiffer, made me wince during specific “kids make you go argh” moments, and it entertained. I’ll rate it a decent movie to sit on the couch with your girlfriend/wife munching on popcorn. We actually didn’t have any popcorn this time, but it was still good.